Christina and Michelle Naughton are piano-playing twins – each a prizewinning alumna of two of the most prestigious conservatories in the United States, the Curtis Institute and the Juilliard School. They launched their professional careers as a piano duo in 2010 with debuts at two of America’s most prestigious venues – the Kennedy Center in Washington and the Mann Center for the Performing Arts, where they performed with the superb Philadelphia Orchestra. They are now well-established in the US, while in Europe they have appeared at the Berlin Philharmonie, the Herkulessaal and Philharmonie in Munich, Zurich’s Tonhalle and the Festival of La Roque d'Anthéron in France. 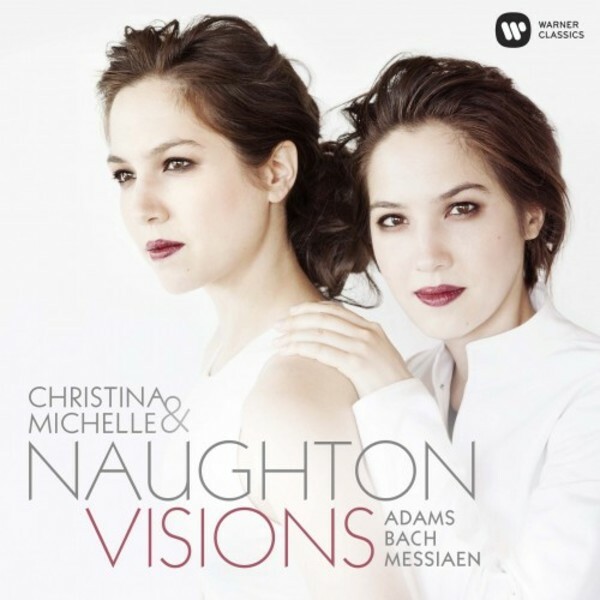 The San Francisco Examiner has lauded the Naughtons’ “stellar musicianship, technical mastery, and awe-inspiring artistry.” Their first Warner Classics release makes clear that they show great imagination in their programming: Messiaen’s mystical and epic Visions de l’Amen, composed during World War II, appears alongside John Adams’ boisterous and percussive Hallelujah Junction, inspired by a truckstop on the border of Nevada and California. The CD is completed with JS Bach’s serenely moving Gottes Zeit ist die allerbeste Zeit, BWV106 (Sonatina from 'Actus tragicus') in an arrangement by the contemporary Hungarian composer György Kurtág. Christina and Michelle were born in Princeton, New Jersey and raised in Wisconsin. Their mother began teaching them piano at the age of four, but it was only when they were 18, and invited to play a concert as a duo, that they officially became a performing ensemble.